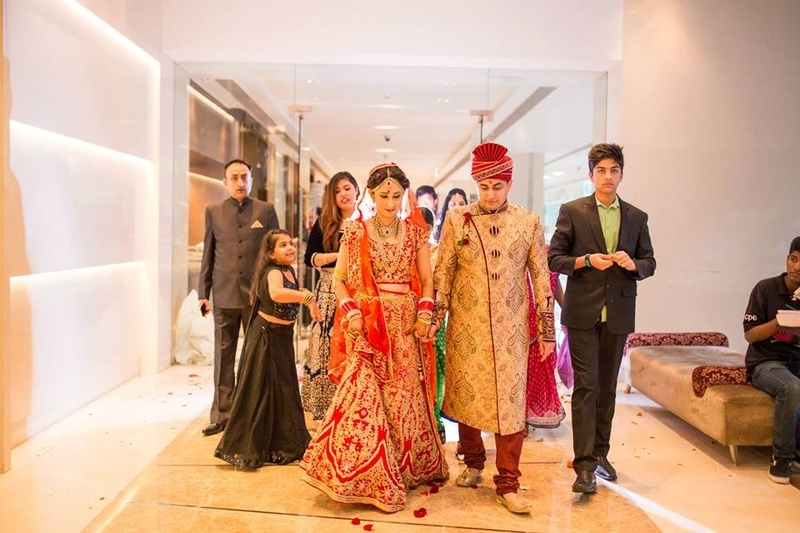 Namrata and Mohit’s wedding ceremony was one that spoke of royalty and grandeur. 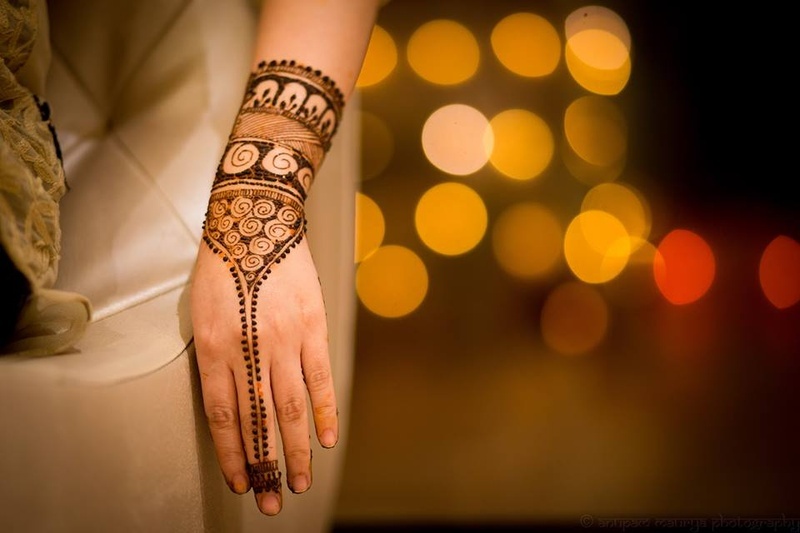 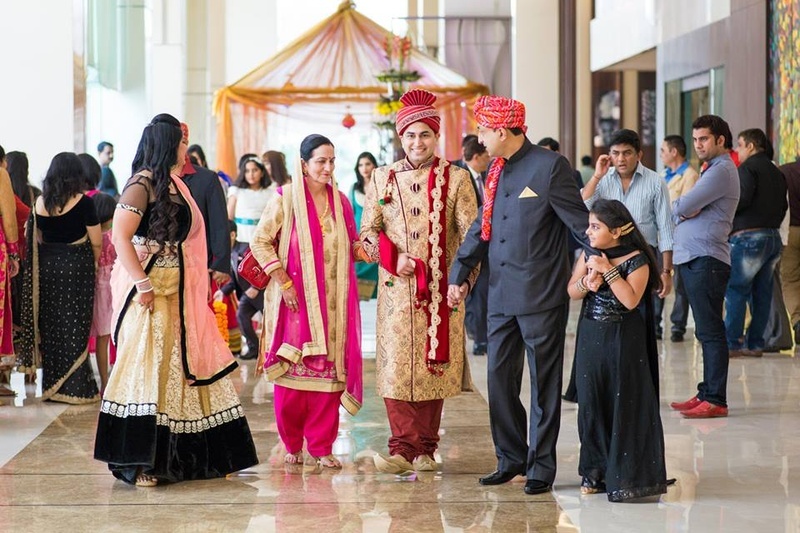 Right from their attire down to the décor, every element at their marriage had a touch of class. 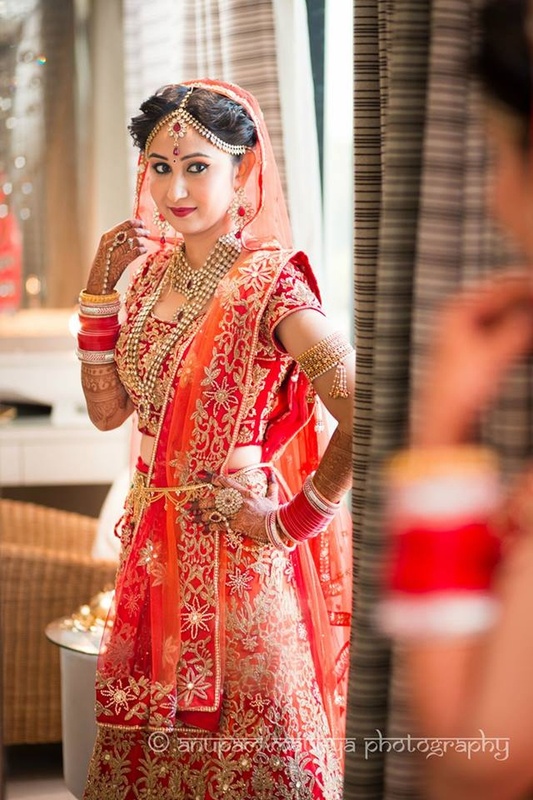 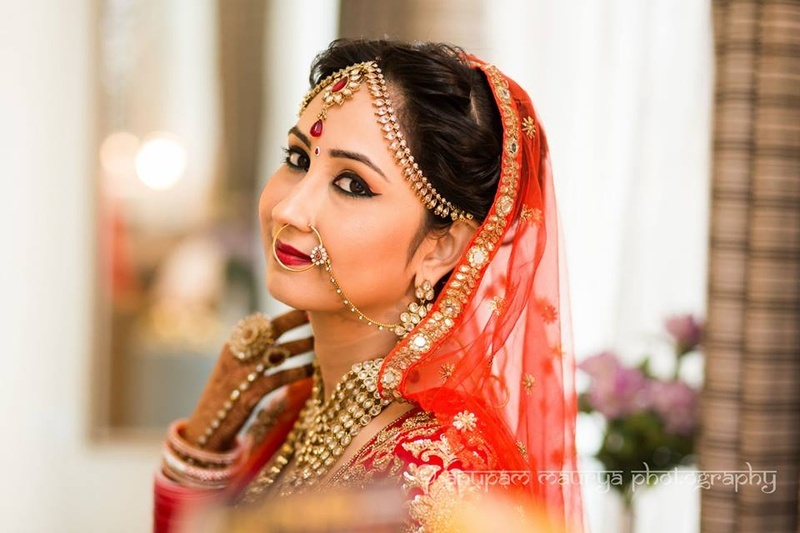 Dressed in a two toned, red and orange lehenga set, embellished with heavy floral patterned sequins, the bride made her entry under a sheer Bridal Chaddar. 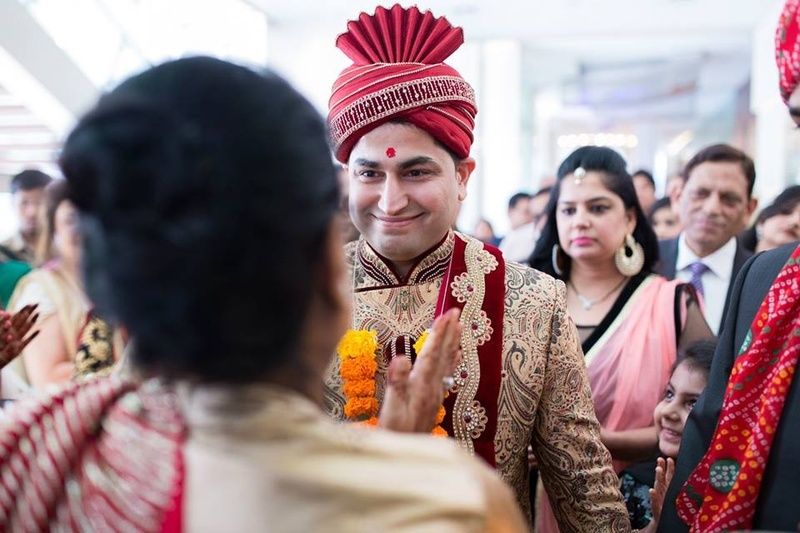 The handsome groom, Mohit, wore a beige textured sik Sherwani and styled it with a maroon churidaar, dupatta and Safa. 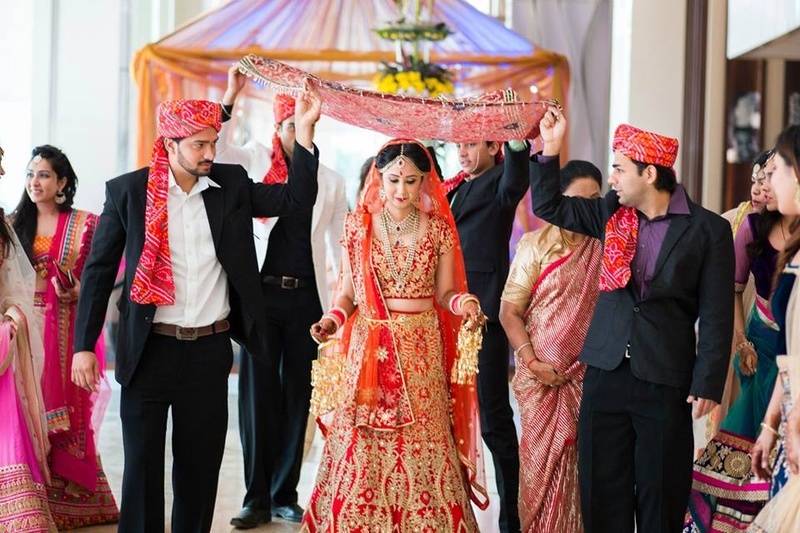 This ethnically dressed couple took their vows in a Vedi Mandap under a floral arbor made with Tube Roses and Red Roses. 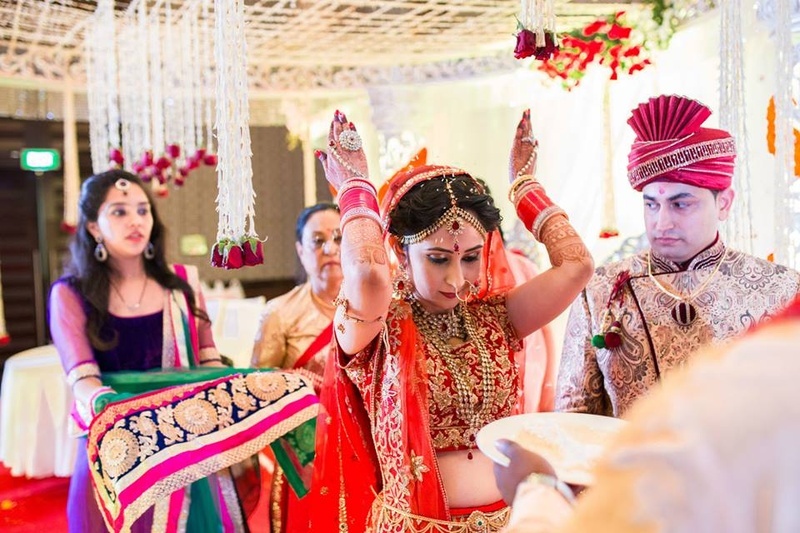 Together, this beautiful couple carried out every mandatory Punjabi wedding ritual, including the Vidaai ceremony, where the bride threw back grains of rice over her head and prayed for prosperity and wealth to always flourish in the house she is leaving behind. 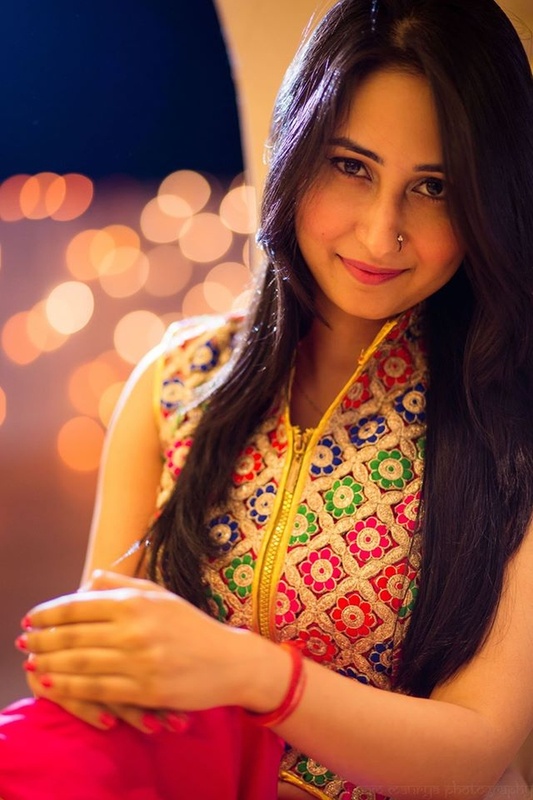 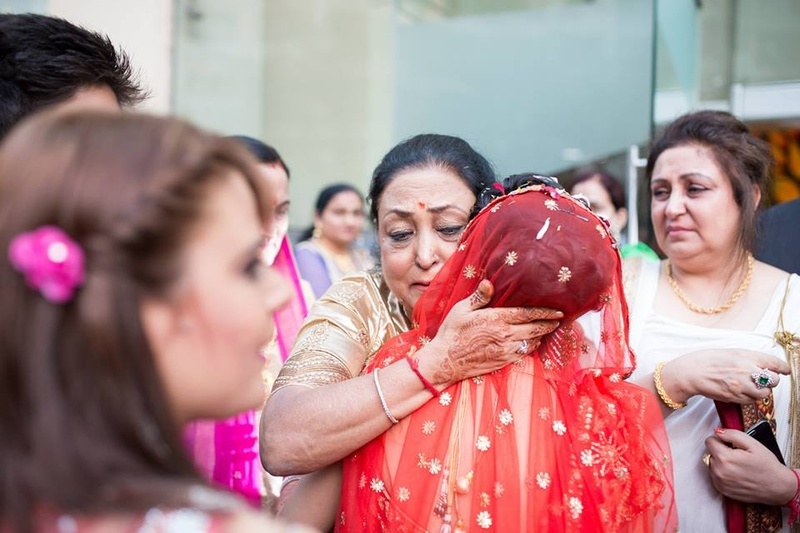 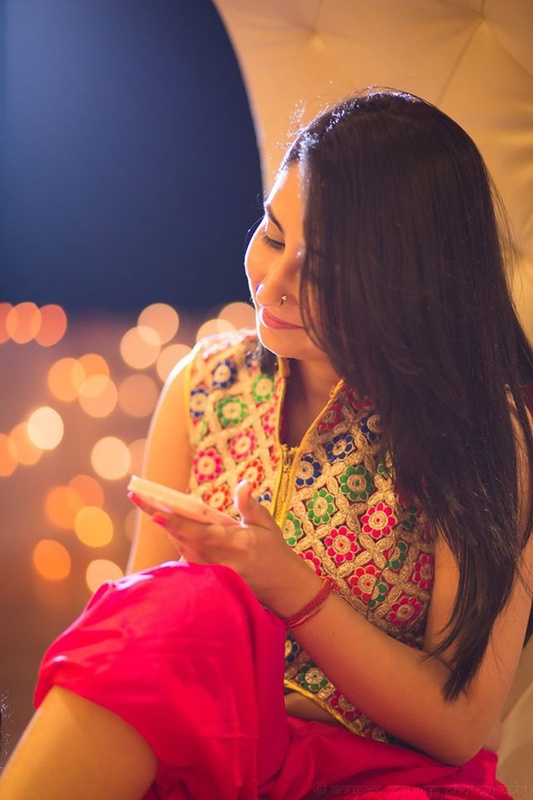 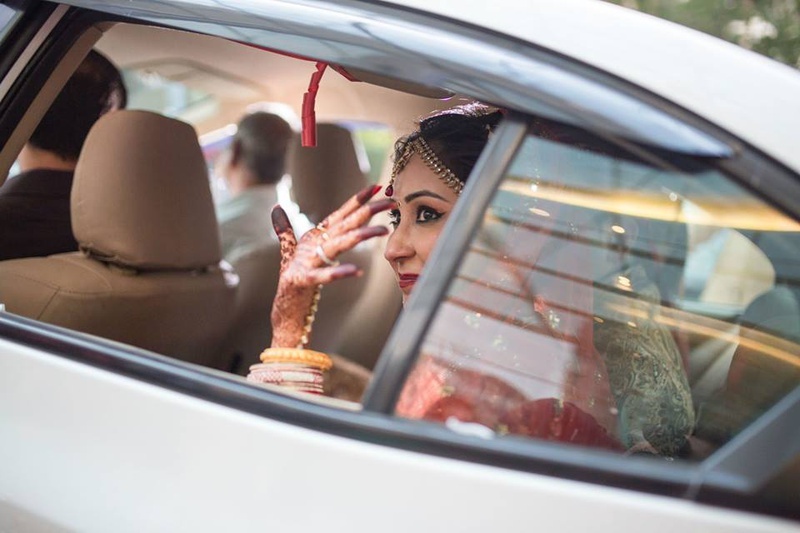 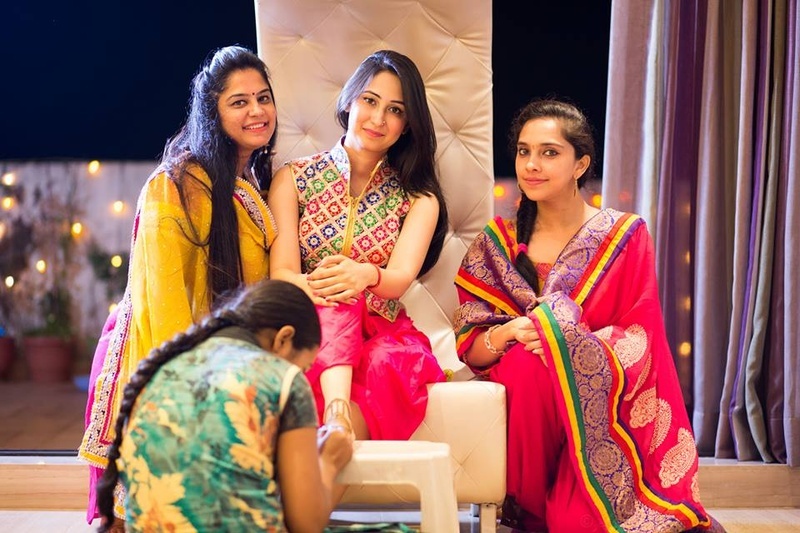 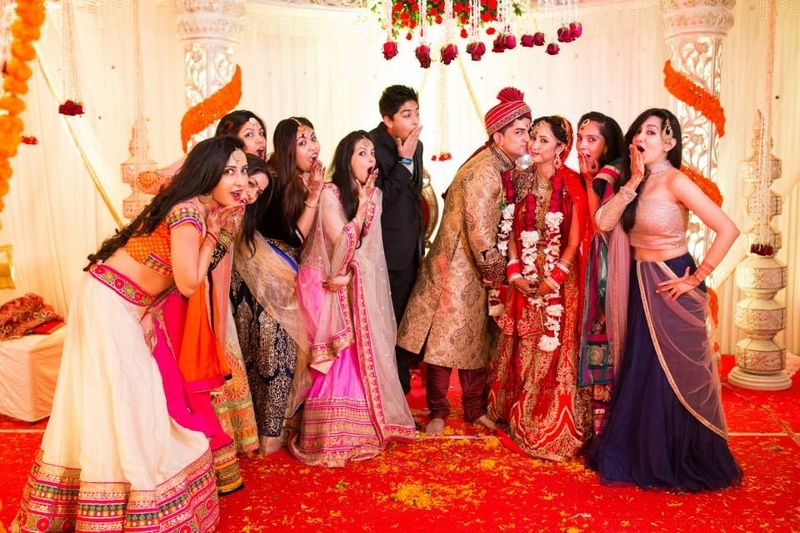 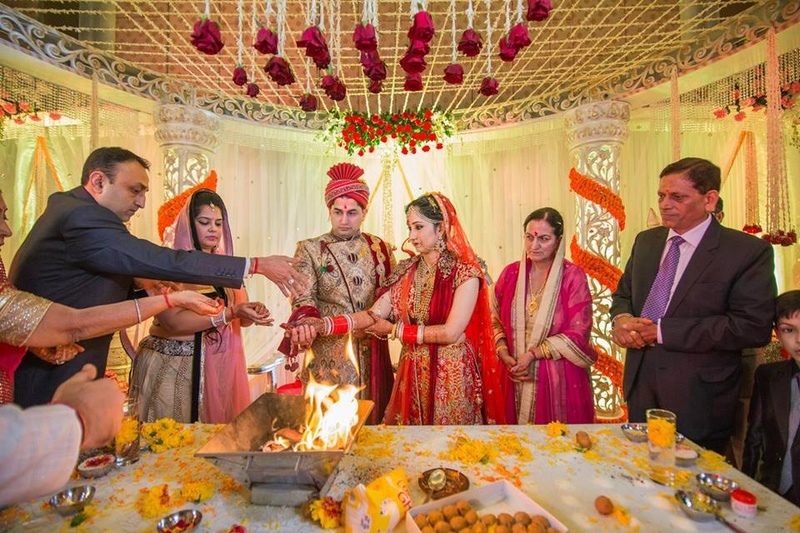 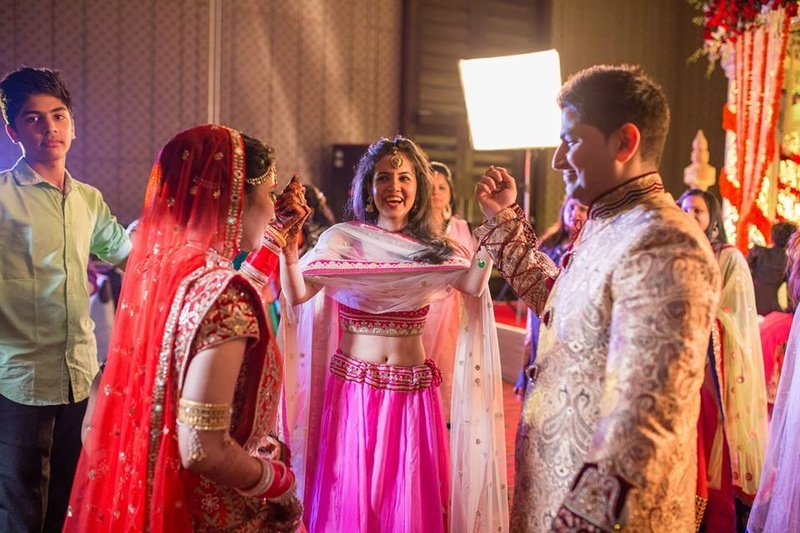 After emotional goodbyes were said and warm hugs shared, the bride bid farewell to her family and loved ones and was ready to embark on a new journey with the love her life, Mohit. 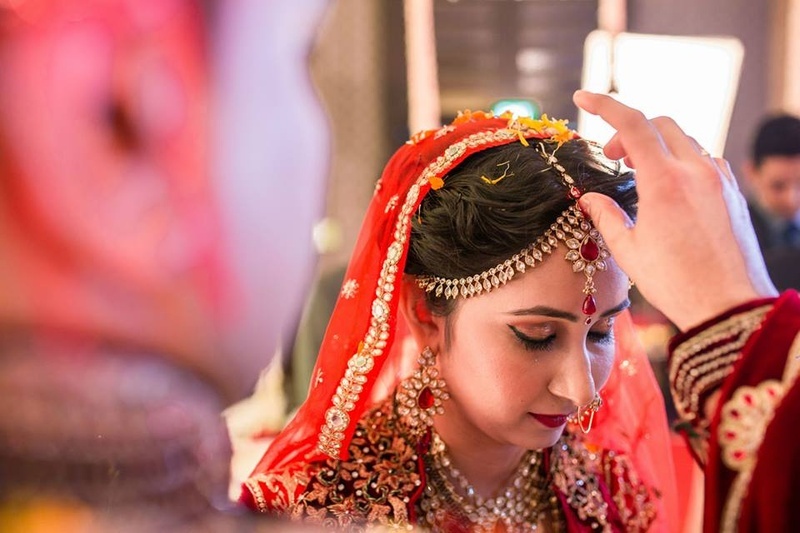 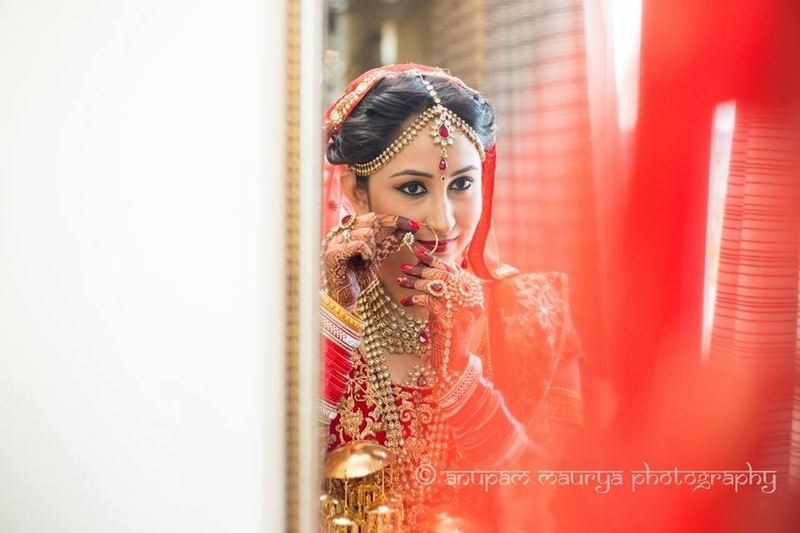 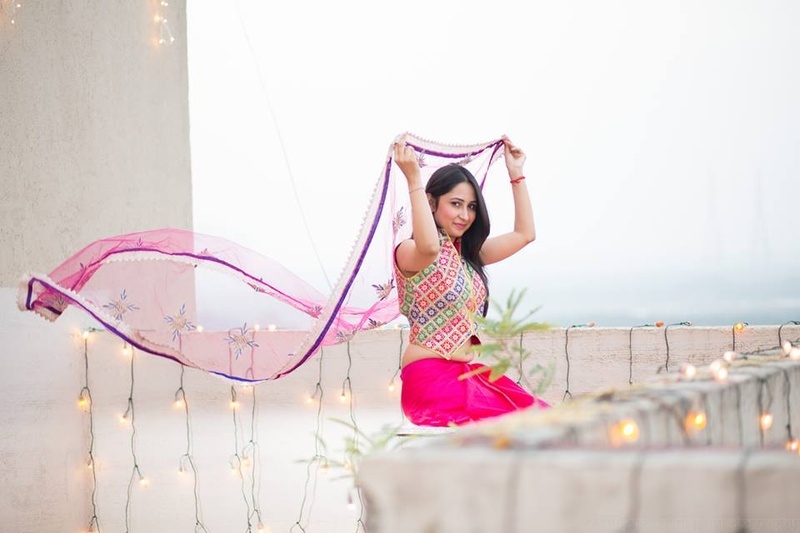 Anupam Maurya Photography captured every beautiful moment from this grand wedding ceremony. 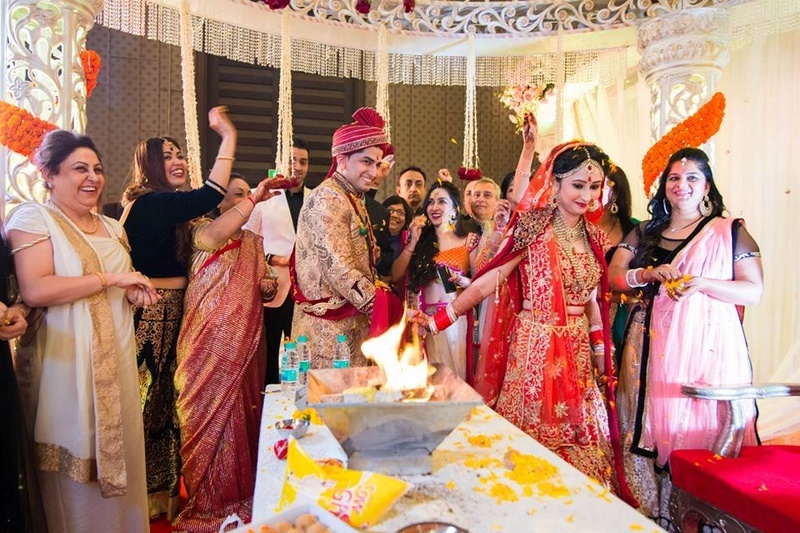 Scroll down to see a few images from their special day!